It's -9 degrees in Bucharest, Romania. 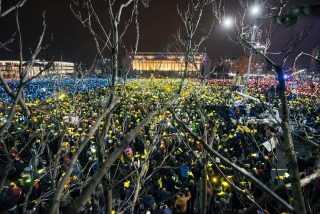 Hundreds of thousands have braved the cold to meet their friends, family and colleagues in front of the government building for another night of protests. In early February protestors took to the streets in Romania to fight against an order issued by Prime Minister Sorin Grindeanu and his Social Democratic Party (PSD). The order, or decree, decriminalized corruption in government. Many of the PSD's party members have convictions, including its leader Liviu Dragnea. This decree would scrap his charges for election fraud and abuse in office and make him eligible to become the next Prime Minister. 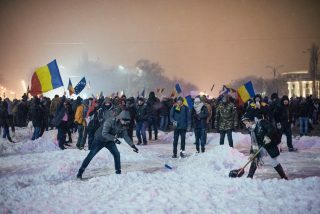 Choosing values like transparency and justice over the system they've lived with all their lives, Romanians have had enough and they’re determined to win. Every Romanian has a story of corruption to tell. It could be tipping the nurse for not ignoring you in the emergency room, or buying votes in order for your party to win the election. 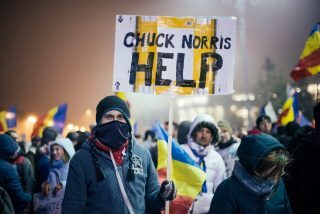 A study from 2016 showed that only 22% of Romanians trust the government. 93% think corruption is widespread in their country and 57% think they're personally affected by it. 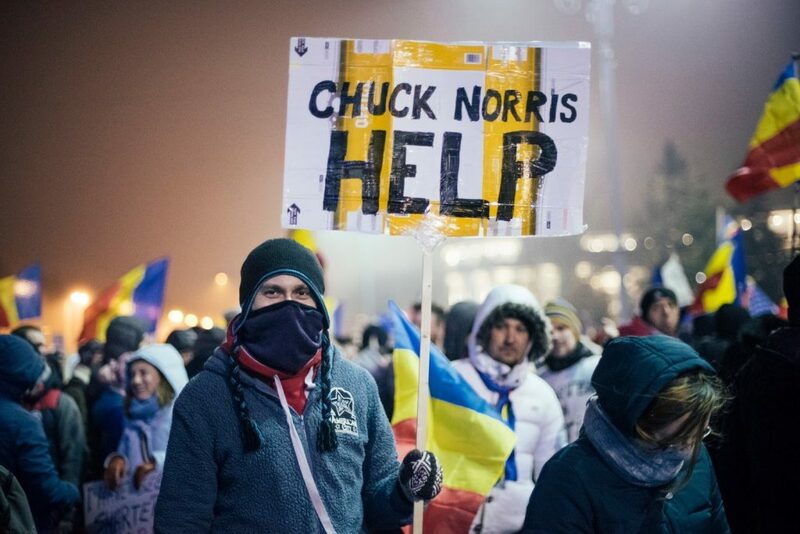 But corruption in Romania is long-standing and goes all the way back to the dictator Nicolae Ceausescu who ruled the country from 1965-1989. It continued throughout the 90s, as Romania grappled with moving from a communist system – where all goods are owned publicly, to a market economy – where services and goods are owned privately. One of the biggest problems with corruption recently has been that public officials choose how public funds are spent. Local governments give businesses in their own network contracts for big projects (ie. building churches, repairing schools or roads, etc). This favoritism leads to an unfair distribution of funds and to individual fraud and corruption. The business networks then fund the political parties at the local level, and the cycle repeats itself. 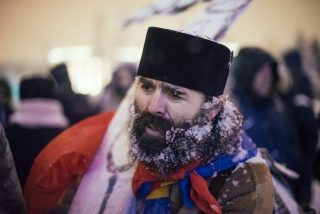 What is Romania doing about it? 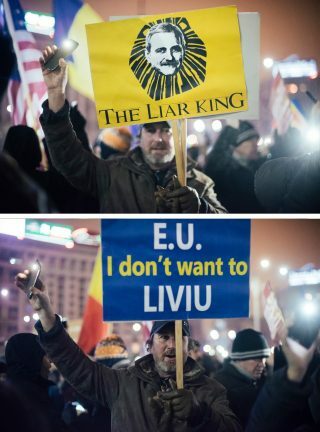 When Romania joined the European Union it was ranked the most corrupt country in the union by Transparency International which campaigns against global corruption. By 2016, there had been some progress, moving down to become the 5th most corrupt country after Bulgaria, Greece, and Italy, and at the same level as Hungary. It was allowed to join the EU partly due to the anti-corruption work of Monica Macovei, Minister of Justice under the former president Traian Basescu. Her work has been continued by the National Anticorruption Directorate (DNA) which has been active in prosecuting high profile cases despite the Romanian parliament’s resistance. "People used to think that high officials are above the law. Our investigations have shown that this is no longer true," DNA chief prosecutor, Laura Kovesi told Al Jazeera. Corruption investigations involving senators, parliamentarians and ministers from last year amounted to €1 billion. DNA has been accused of being too single-minded and PSD described it as a being too politicized. But, it doesn’t just target PSD - many members of the opposition have been prosecuted too. The anti-corruption movement in Romania still has a long way to go. Transparency International has made a number of recommendations including fighting against petty corruption and promoting more transparency of administrative procedures. The protests have managed to put a stop to the decree for now and even pushed the Minister of Justice to resign. Two weeks have passed and enthusiasm on the streets has dwindled, but in the media and on social networks a feeling of optimism prevails. 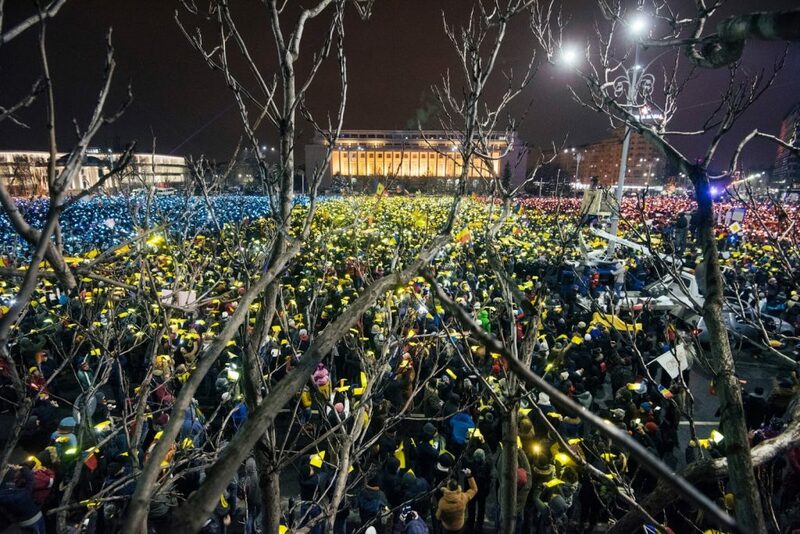 It's unlikely that the government will resign, but the protests managed to ignite a solidarity which hasn’t been felt in Romania since the end of Ceausescu's dictatorship in 1989. For the protestors, the future is full of hope.